We may not all be able to sit with a cottonwood, but we can listen for its voice. Probably my favorite way to contemplate trees is to sit with the windows wide open on windy nights and marvel at the sound of the leaves rustling in the wind. Trees have voices that impart their star-like wisdom. 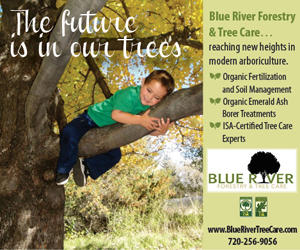 Editor’s Note: Trees give us so much: shade, solitude, medicine, nourishment, oxygen. 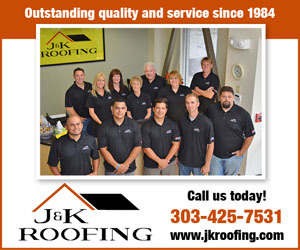 They improve our air, remove harmful gases, stabilize soil and shelter wildlife. 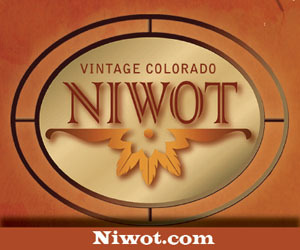 Their roots filter waterways and reduce erosion and runoff. Their trunks give us wood. They ask for little in return. 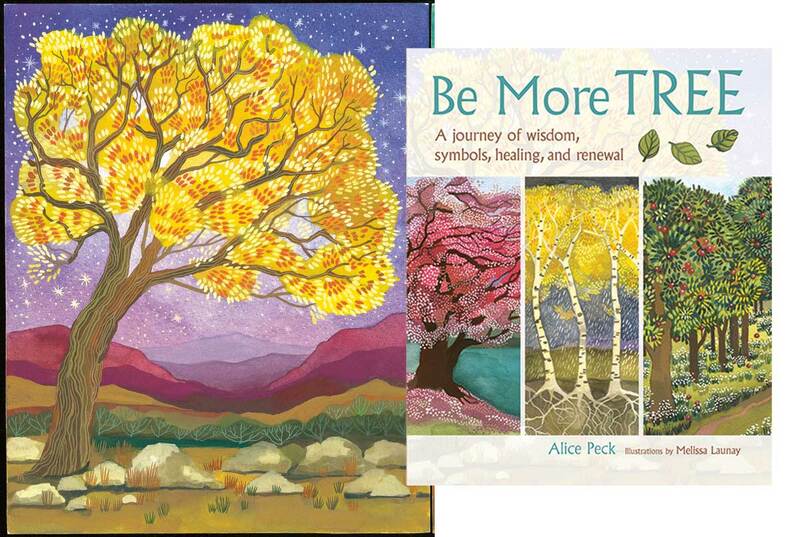 Author Alice Peck invites us on a spiritual journey as she examines the many benefits of trees in her book, Be More Tree. 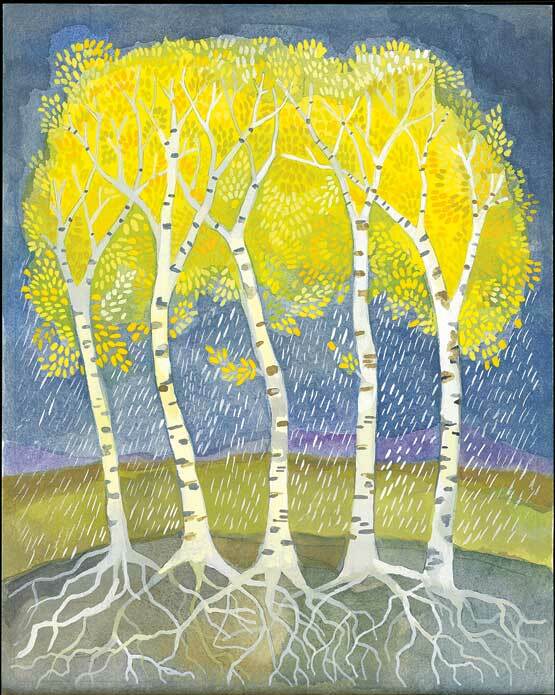 Artist Melissa Launay takes us on a visual feast with her beautiful illustrations of trees. 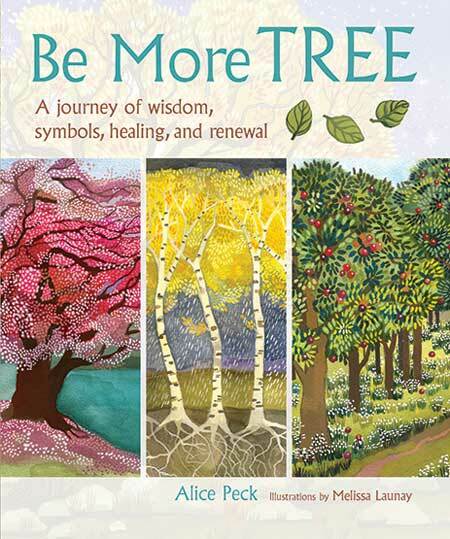 Here are excerpts from Be More Tree. 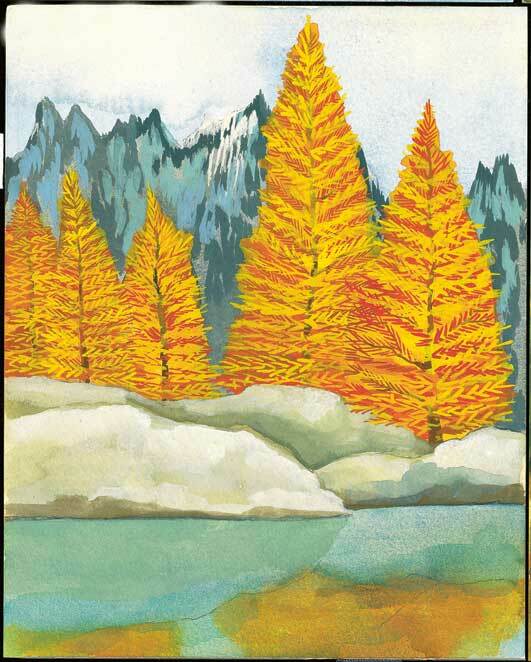 All the featured trees grow in Colorado, so take a moment to pause and absorb the wonders of these magnificent beings we share the planet with. 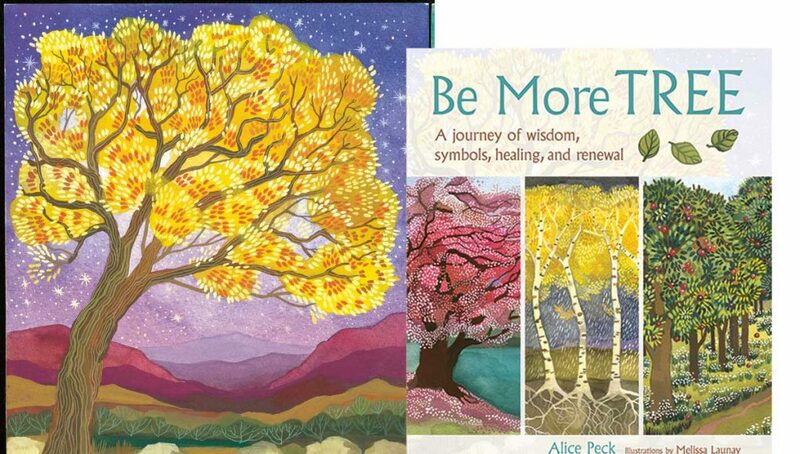 Alice Peck is an author and editor who thinks and writes about finding the sacred in the ordinary. Find out more at AlicePeck.com. Melissa Launay has a master’s degree in fine art from the University of Seville. She’s illustrated several books for American and British publishers. Find out more at MelissaLaunay.com. 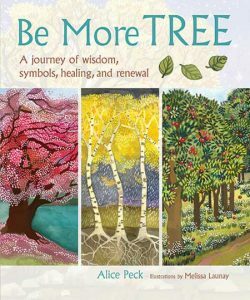 Be More Tree is published by CICO Books and is available online at RylandPeters.com or at local booksellers. The chestnut tree’s wisdom is in reminding us of the impermanence of seemingly permanent things. 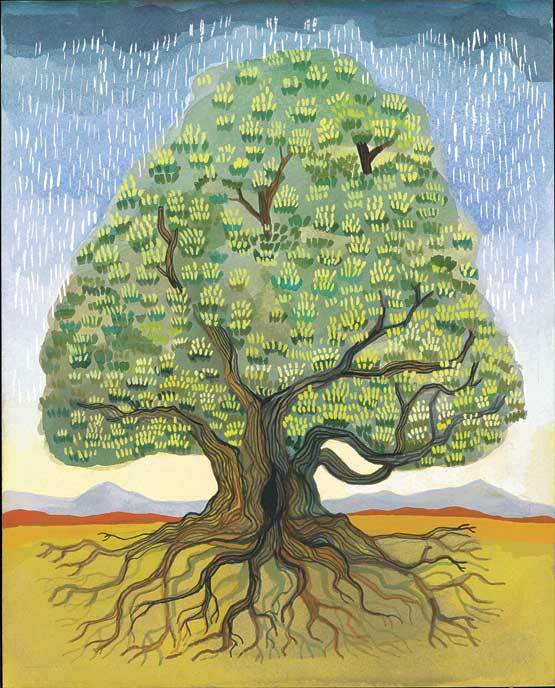 Take a moment to pause and think about the chestnut—so enduring and powerful, yet fragile. Apply those thoughts to people we take for granted in our lives, whom we assume will always be there, and then pause to appreciate what we have. 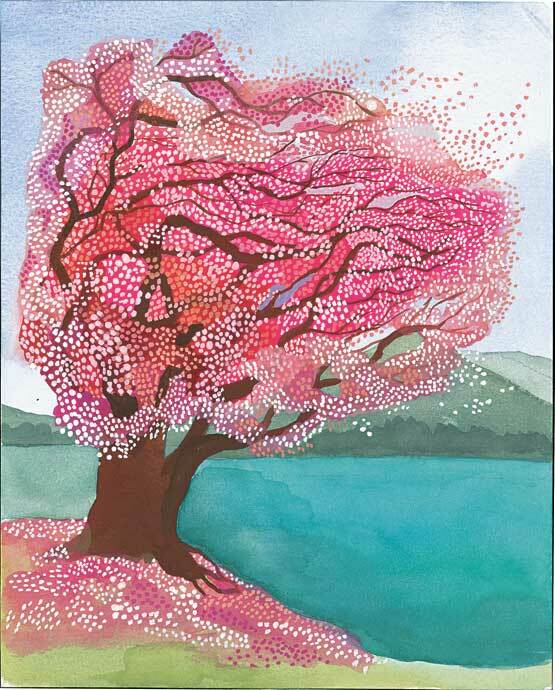 It is easy to see why trees filled with blossom-like clouds symbolize the ephemeral nature of life. Find a cherry tree in winter. Sit under it if it’s not too cold, or take a photograph, draw a picture, and consider what has vanished and yet will return—the leaves, the blossoms and the fruit. To study Qigong is to study the postures (including “Standing Like a Tree”) passed down from master to teacher since the fifth century BCE, when Lao Tzu wrote the Tao Te Ching or “The Book of the Way,” the primary text of Taoism. We can take a step on that path by following this simple suggestion from Robert Peng: “As you walk in the forest you can become aware of the trees, absorb their energy, and be nourished by the Tree Qi.” Apply this to the larch—its vital golden light in autumn, the mystery of the conifer that drops leaves and sprouts new ones, and its power to heal us both physically and spiritually. 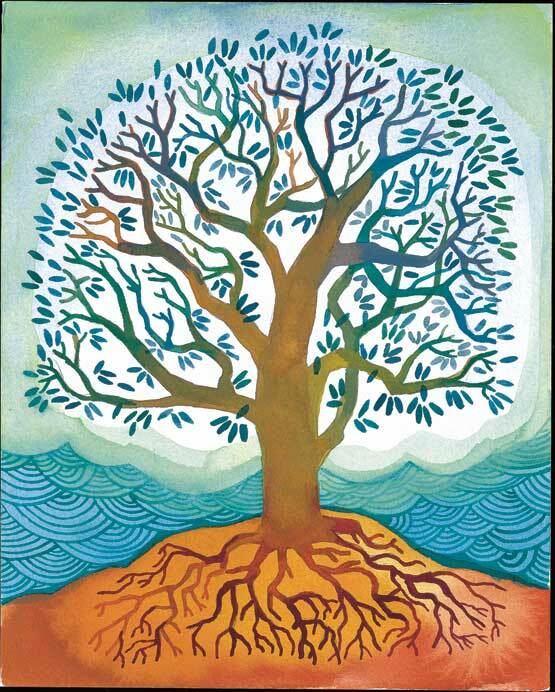 The oak imparts wisdom about the self and selflessness. 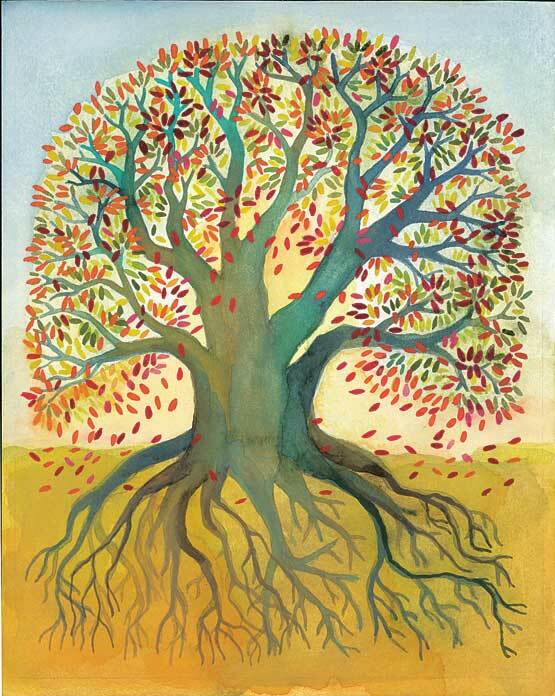 Take responsibility for our actions, own and know ourselves, and remember that even after we’re gone, the acorns we planted will have grown into oaks.